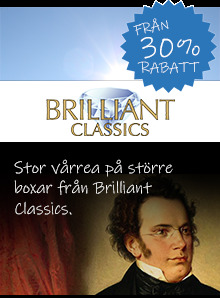 "The Gävle Symphony Orchestra has a very fine group of musicians and Petter Sundqvist directs the proceedings with obvious affection for their local composer. This fine, very approachable music has been recorded superbly, the acoustics of the fairly recently built concert hall no doubt assisting in achieving this. This project deserves every success." 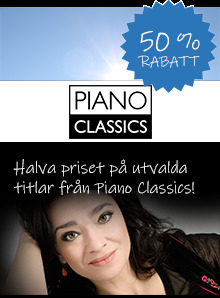 "Det är fin, lättillgänglig musik, perfekt utförd av den välspelande Gävleorkestern." 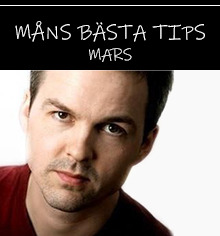 "Genomgående utmärkta framföranden av Sundkvist och Gävlesymfonikerna." 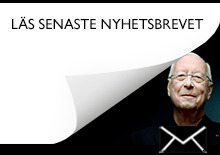 "Fantastiskt spel av Gävle Symfoniorkester under Petter Sundkvist, därtill lysande inspelningskvalitet och ett ovanligt bra texthäfte, författat av Ulf Jönsson." Bo Linde's 35th birthday, January 1, 1968, was also the premiere of one of his most beloved orchestral works, Pensieri sopra un cantico vecchio. Bo Linde plays with a familiar 16th century melody, Lo, How a Rose E'er Blooming, weaving small portions of the original hymn throughout Pensieri. This becomes a starting point for the composer who offers us richly imaginative music with elements of a waltz. 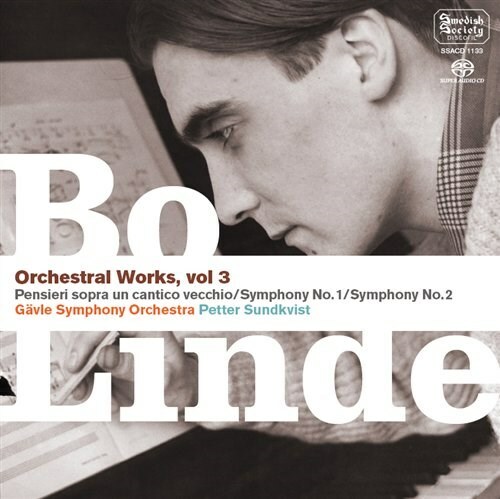 Melodically, Pensieri sopra un cantico vecchio, along with his solo concertos for violin and cello, are Bo Linde's most easily understood and beautiful orchestral compositions. The experienced composer also takes full advantage of the possibilities within his "own" orchestra. 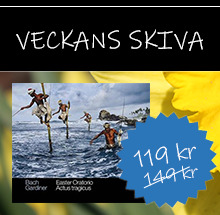 (The Gävle Symphony Orchestra commissioned this work for their 1968 New Year's concert.) Judging by how the premiere was received, Pensieri immediately won over the critics and was an instant success. 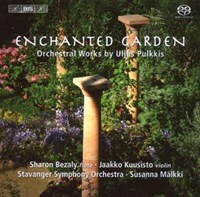 Both the Gävle and Norrköping orchestras have frequently included Pensieri in their repertoires; and in 1993, the Norrköping Orchestra made the first recording. Pensieri sopra un cantico vecchio, dated November 24, 1967, was written during a period in the late 1960's when Bo Linde was at his peak as a composer. For example, the final years of this decade produced the chamber music pieces Ten Autumn Songs for Mezzo-soprano and Piano, String Trio for Violin, Viola and Cello and Sonata for a Trio: Violin, Cello and Piano, as well as the orchestral work for bass clarinet and orchestra, Pezzo concertante, yet another one of Bo Linde's small masterpieces, the last for which he personally attended the premiere. Between 1949 and 1952, the teenager Bo Linde traveled on four different occasions to the great Nordic music conservatory libraries in Stockholm, Helsinki, Copenhagen and Oslo. During Linde's fourth visit, his Sinfonia Fantasia (Opus No. 1) premiered in the Norwegian Radio studio, performed by the Orchestra of the Philharmonic Company with Öivind Fjeldstad conducting. 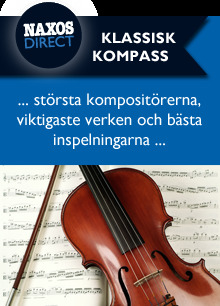 Another composition premiered on the same occasion, Sinfonietta for Strings by Hans Eklund. He was a friend and colleague of Bo Linde's who lived in the neighbouring town of Sandviken. Eklund once related that his sinfonietta was received with even greater excitement than Bo Linde's symphony, but Eklund could not determine why because, as he expressed it, "Bosse's symphony was considerably better than my sinfonietta. "Bo Linde wrote Sinfonia Fantasia in the autumn of 1951, during a time when he was diligently commuting between Gävle, where he lived with his parents, and Stockholm, where he studied at the Academy of Music. Bo Linde's father worked for the railways, a job that gave him and his entire family free travel, and made Bo Linde's frequent commutes possible. The fact that he traveled between two residences explains why the symphony is dated from both Gävle and Stockholm.Linde was a student of professor and composer Lars-Erik Larsson who also taught Hans Eklund, Jan Carlstedt from Orsa, and Maurice Karkoff. These four notable musicians have been referred to as "Larsson's Quartet," although Karkoff is the only composer among the four who is still living. Professor Larsson shared Hans Eklund's positive evaluation of Bo Linde's symphony, and described it as "logical, translucent and powerful," high praise for this small and unusual symphonic piece written in one movement, but with three distinct parts reminiscent of a more traditional three movement symphony. The very title, Fantasia, is a sign that Bo Linde chooses to takes a rather free approach compared to the more established symphonic form. At the upbeat, the composer immediately introduces the three main themes in the piece. They recur in the finale when the character of the music becomes increasingly meditative after a series of very powerful musical explosions, particularly in the percussion. The composer also studied timpani, an emphasis second only to that of the piano, his primary instrument, which he studied under the direction of Olof Winbergh. He never wished to label himself as a pianist, preferring to focus all his energy on composition. 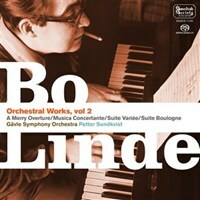 The span of an entire decade passed between Bo Linde's first symphony and the composition of his second. Meanwhile, he managed to compose a significant number of orchestral works, including three solo concertos (two for piano and one for violin); also Holiday Suite for String Orchestra; the wonderfully mischievous Old Fashioned Suite for String Orchestra; A Merry Overture; and Suite variée. Bo Linde made a notation on the manuscript for Sinfonia indicating that the piece had been commissioned by the Lions Club, a charity organization in Gävle; but there is more than that to the story. Bo Linde was a new father to Ulf (born in Stockholm in September 1960). After receiving a large grant from the Lions, he and his wife, Britt-Marie, decided to return to Gävle in order to obtain housing, something that was nearly impossible to do in Stockholm at the time. The young family lived with Britt-Marie's parents briefly but soon obtained a home of their own; and work on the symphony gained momentum. The first of the symphony's three movements contains a beautiful cello solo, a little sample of how well Bo Linde handled the instrument (something which revealed itself 8 9 a few years later in the cello concerto). The second movement, Toccata, is an intense, passionate and forceful piece of music that the composer wanted to be performed "con ira" (with fury). 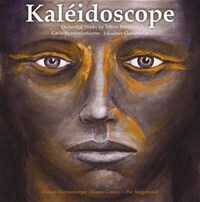 The movement seems to twirl and spin artistically around this musical nucleus. It differs significantly from the considerably lighter touch in the concluding movement, which becomes almost thoughtful toward the end. As noted previously, Bo Linde dedicated his second symphony to the Lions Club in gratitude for the grant that allowed him to work on it. In accordance with that grant, he completed the work on January 10, 1961, and wrote the dedication in the manuscript. Under the direction of Sten Frykberg, the Radio Orchestra premiered Sinfonia in a radio broadcast on September 17, 1961. The Norrköping Symphony Orchestra performed Sinfonia during an extensive tour in Japan. 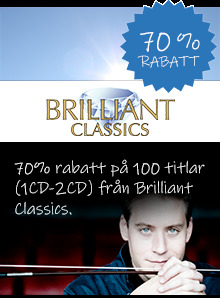 No previous recording of this work has ever been made by the Gävle Symphony Orchestra.